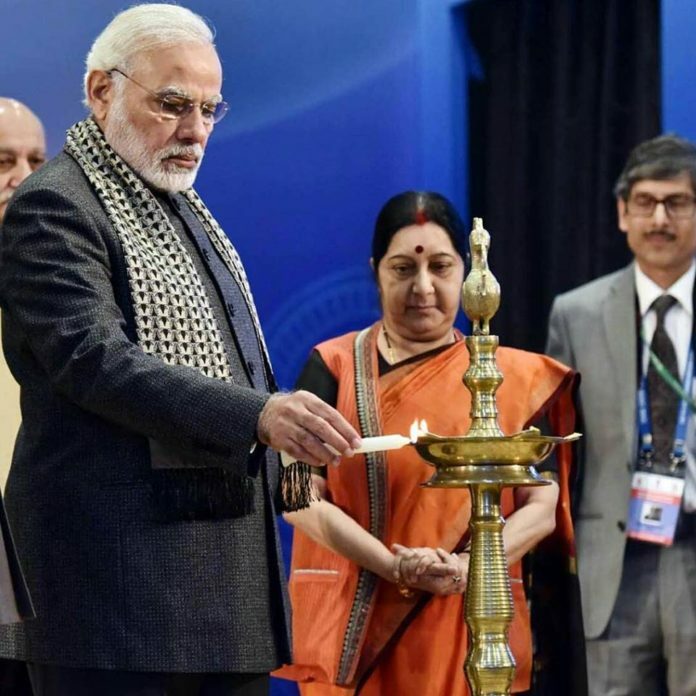 New Delhi: The 1st PIO-Parliamentarian Conference was inaugurated by Prime Minister of India, Shri Narendra Modi here today. Welcoming the delegates to the Conference, the Prime Minister said that while many people may have left India over the course of hundreds of years, India continues to have a place in their minds and hearts. The Prime Minister said that PIOs (Persons of India Origin) are like permanent ambassadors of India and partners for India’s development, who have an important position in the Action Agenda till 2020, drafted by the NITI Aayog. The session also witnessed distinguished PIO Parliamentarians placing their experiences before the gathering and how they are still very much connected to their roots in India through the Principles of Peace and Harmony that they have imbibed from their ancestors. Other dignitaries who addressed the gathering included Shri M. Thambidurai, Deputy Speaker Lok Sabha and Shri D.K. Mulay, Secretary MEA.